Kona Brewing Company has long been the giant of brewing in Hawaii. They are the state’s most recognizable brewing company, though many in the craft beer community have mixed or straight up negative feelings towards them. 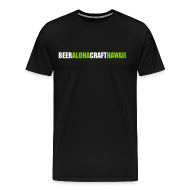 One of the main issues that regularly comes up is that all of Kona’s packaged beer available in Hawaii and the rest of the world is not brewed in Hawaii. A lot of people also take issue with AB In-Bev owning a minority share of Kona’s parent company Craft Brewers Alliance (CBA), but that is for another post. Early on in it’s history (1998), Kona Brewing Company decided to outsource all of it’s brewing for packaging to the mainland. This was done for a number of reason, many one could say were ahead of their time. Today, it seems like every major craft brewery is opening up second and third breweries in locations far from their home base to service the demand in those regions. Brew the beer closer to where it is being consumed…fresher beer and less environmental impact. Seems like a win – win for everyone. But, in Kona’s case, the decision to brew their beer in far off locations closer to the masses of people on the mainland that are buying it up in droves has caused them a number of problems back home. Primarily, they have become the unlocal, local brewery. This hasn’t slowed the companies growth, but from my many talks with various people at Kona Brewing Company, they are always concerned and focused on their home market. So it’s no surprise that today they have announced a massive expansion project here in Hawaii to brew and package (can) beer in Hawaii for Hawaii. Since the article in the Star Advertiser is behind a paywall I’ll summarize things here. You can also go pick up a hard copy to read Andrew Gomes full report. Plans are for Kona Brewing to build a new brewery on either the Big Island, Oahu or Maui (seems very unlikely) that will be capable of producing 100,000 barrels per year. The new brewery is slated to be complete in 2017 and will produced both can and draft beers. Currently most, if not all, of the draft beer available in Hawaii is brewed at the Kona brewery. That 25 barrel brewery will be removed and the existing restaurant will be completely rebuilt and expanded into the brewery space. The new brewery will include a tasting room, but not a full service restaurant or pub. Kona will continue to brew beers for mainland and international markets at the various breweries owned by CBA. Some bottled beer will be shipped to Hawaii from the mainland for customers who prefer bottles over cans (seriously is that something that would cause you not to buy a beer?!). Personal preferences aside, the expansion should be a win for consumers. Fresher packaged beer and more specialty releases, which have been few and far between from Kona. Tags: Kona Brewing Company. Bookmark the permalink. I know of some land that is permit ready to go for a brewery! And we get thirsty going to Volcano!!! Would be a great destination for those trips around the island that we have to do with our visiting friends and family. Two properties, MLS# 264889 and MLS# 264890 sit on top of aquifers 8-12,000 feet below offering a very unique BUSINESS OPPORTUNITY to create a BREWERY! With this amazing water source, the property has in place multiple transferable Special Use Permits approved by the County of Hawaii for a restaurant, brewery or distillery, visitor’s center, tasting room. The permits may be amended for other uses such as spa and health center, food production/preparation, warehousing, etc. Owner has developed an energy system w/1 ac. of solar panels on a neighboring lot and has made power available to a high-energy consuming tenant reducing their HELCO usage by approx. 50%. This same green source of energy could also be offered to these subject properties. * Water is accessed via a well system and has a pump intake located at a depth of 241 feet; other wells may also be installed. * Seller financing avail. USDA loan opportunities w/Depart. of Ag. w/100% financing may be available. Call me if you want more info. I was thrilled to read this news earlier today and glad you posted. I understand some of the angst over Kona here locally – but I remember finding Kona back in 96 when I first moved out here and thrilled. 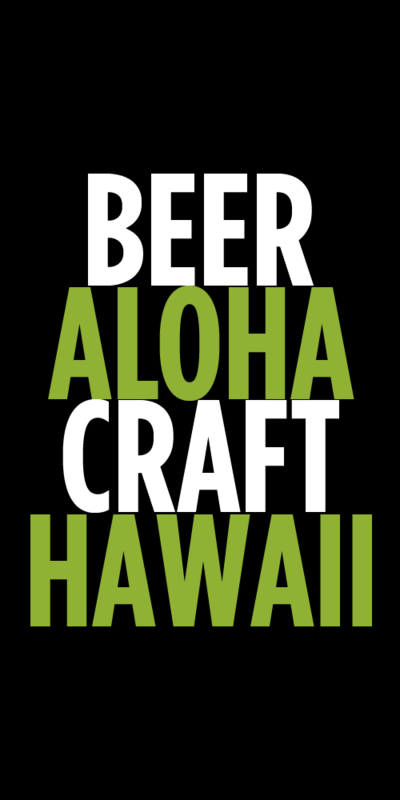 It took a while since then for us to get a great local craft brewing scene out here – and I still consider Kona a great “local” craft beer (along with Maui, Big Island and now Honolulu brewworks and friends at Lanikai). I think their new local series is a great idea and am glad castaway is bottled. Honestly, I have a tougher time convincing my friends to try Maui beers mostly due to misconceptions about cans… Hopefully the new brewery will help mend some of the fences. If Safeway is stocking “mucho aloha” (brewed in CA, I think) beer in its local section, it should not be a sin to enjoy some Kona once in a while.